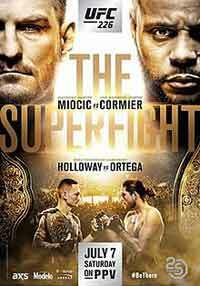 Review by AllTheBestFights.com: 2019-04-13, some good single shots between Eryk Anders and Khalil Rountree but it is not enough to get three stars: it gets two. Eryk Anders entered this fight with a mma record of 11-3-0 (73% finishing rate) and he is ranked as the No.47 light heavyweight in the world but he won just one out of his last four bouts, against Tim Williams last August; after this bout he has been defeated by Thiago Santos (Thiago Santos vs Eryk Anders) and Elias Theodorou. His opponent, Khalil Rountree, has an official record of 7-3-0 (71% ko/tko victory rate – he has never won via submission) and he entered as the No.79 in the same weight class. He fought twice last year beating Gokhan Saki (Gokhan Saki vs Khalil Rountree) and losing to Johnny Walker (Khalil Rountree vs Johnny Walker). 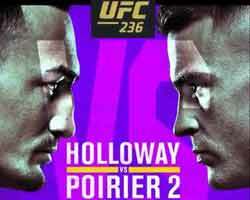 Anders vs Rountree is on the undercard of Max Holloway vs Dustin Poirier 2 – UFC 236. Watch the video and rate this fight! Review by AllTheBestFights.com: 2018-11-17, good finish between Khalil Rountree and Johnny Walker: it gets three stars (UFC Performance of the Night). Khalil Rountree entered this fight with a pro record of 7-2-0 (71% ko/tko victory rate – he has never won via submission) and he is ranked as the No.54 light heavyweight in the world. He suffered two consecutive defeats in 2016, against Andrew Sanchez and Tyson Pedro, but then he has collected three victories and one no-contest beating Gokhan Saki in his last one (Gokhan Saki vs Khalil Rountree). His opponent, Johnny Walker, has a mma record of 14-3-0 (93% finishing rate) and he entered as the No.61 in the same weight class. He lost to Henrique Silva Lopes in 2016 but since then he has won six consecutive bouts beating Henrique da Silva in his last one. 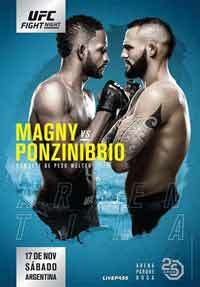 Rountree vs Walker is on the undercard of Neil Magny vs Santiago Ponzinibbio – UFC Fight Night 140. Watch the video and rate this fight!